In-court secrecy continues to thrive – at least in regards to protecting business interests. Almost all patent infringement lawsuits include secrecy orders negotiated by the parties without much court participation. Courts often view themselves as arbiters of disputes between the parties – and if the parties agree on a particular issue then there is no dispute. The right to secrecy in federal courts was upped a bit further with the Defend Trade Secrets Act of 2016 in situations where the parties don’t agree. The DTSA includes a requirement that a court “may not authorize or direct the disclosure of any information the owner asserts to be a trade secret” without first allowing an under-seal submission of a description of the confidential interest. 18 U.S.C. 1835. Although not stated, the implication is that the court must then review the submission before requiring disclosure. Georgetown Rail Equipment is seeking additional words to mark portions of its response brief describing confidential pricing information, confidential internal financial information, contractual terms relating to confidential agreements with customers, and confidential information of two non-parties. Those details were designated as confidential in the underlying proceedings. In light of the limited and focused nature of the proposed markings, the court will grant the motion. When it comes to issuing an actual opinion, an important question is whether the Federal Circuit (or lower court) is bound by the confidentiality of a submission under seal containing trade secret information. I.e., may the court publicly disclose a trade secret – and thus destroy the property right; if disclosing a trade secret submitted under seal, must the court first weigh the public interest in open courts against the harm of disclosure; and would an improper disclosure by the court be seen as a taking? Because the record in this case contains extensive material marked as confidential, the court has issued its opinion dated August 1, 2017 under seal. The court does not believe, however, that the opinion contains confidential material. The parties are hereby ordered to show cause, by means of a single joint response coordinated among the parties, why the opinion should not be unsealed. The response to this order must specify which words, if any, are proposed to be redacted, and must specifically state the cause for each such requested redaction. If the parties propose redactions, the response to this order must also propose specific words to replace each of the proposed redactions in an unsealed opinion. The joint response shall be filed no later than August 15, 2017. The court is on the right track with this order. However, it is also problematic because it focuses parties on the question of whether “the opinion contains confidential material” as if that is the sole question. The parties are hereby ordered to show cause, by means of a single joint response coordinated among the parties, why the opinion should not be unsealed. A proper analysis of the issues will take the next step of explaining why the parties’ private interest in confidentiality in the court proceeding outweighs the storied tradition of open and public courts. Redaction with Replacement: The court here also provides an innovative suggestion that could transform the redaction process. Rather than simply blacking-out information from its opinion, the court here asks the parties to “propose specific words to replace each of the proposed redactions in an unsealed opinion.” Redaction with replacement is likely the gold-standard approach for judicial opinions and appellate briefs, but we’ll see how it works in this case. He testified that, but for Holland’s infringement, Georgetown would have inspected XXXXX miles of track for UP over a XXXXXXX period at a rate of $XXXXX, thereby realizing $XXXXX in revenues. OT but interestingly, the Supreme Court has rendered another suit-location-limiting decision against plaintiff forum shopping subsequent to TC Heartland. It is Bristol-Myers Squibb v. Superior Court, in which the Supreme Court granted certiorari to review a decision of the California Supreme Court that had adopted an expansive view of California State courts’ exercise of personal jurisdiction over defendants from other states with tort injuries in other states. As reported, making it clear in an 8 to 1 decision that in order to invoke specific jurisdiction a plaintiff’s claims must arise out of the defendant’s in-state conduct, and seems to recognize important limits imposed by the Fourteenth Amendment’s due process clause on the ability to aggregate claims of plaintiffs from many other jurisdictions in plaintiff-friendly state courts [e.g., also St. Louis]. It will limit forums where nationwide mass actions can proceed. Just a caveat here, when dealing with state long arm statutes, we are dealing with actual due process. When instead we are dealing with federal statutes and their enforcement, we are dealing with statutory venue law. Congress could, if you wanted to, provide a single forum for the enforcement of patent infringement lawsuits just as it has provided a single forum for the revocation of patents. Of the three questions, the last must be answered first, as the answer there potentially moots the other two questions. And from the set up and lead in, the answer (at least in certain situations) is that a legally recognized property right of a trade secret may be involved, and then, a court action destroying that property right would be considered a taking. That of course is not the end of the analysis, as everyone knows that under certain conditions (for example, eminent domain), the government MAY engage in takings. The analysis then would need to continue by identifying the elements of takings law and mapping those elements to a court deciding – for whatever reason – acting in such a taking. One of your best posts. But advocates writing the opinion ? Just another case where the PTAB shifts the burden to the patent owner to prove nonobviousness on appeal from an inter partes proceeding. This time, unexpected results were deemed inherent and the PTAB required the patent owner to prove there was no expectation of failure. This reflects a recent criticism thet a particular art unit receives a generous ‘mulligan’ that other art units just do not get – i.e., the notion of “unpredictable” and the chem art units, wherein that notion merely reflects a lack of full knowledge. Huh? That is what discover is, the cure for ignorance. If an invention provides results that were unexpected in or by the prior art, that does not mean that the INVENTOR did not possess the invention at the point of invention/discovery. The inherency is something that a prior art item has and nullifies the discovery. You focus on “discovery” as if that alone were the focal point and clearly, the discussion here is about something other than what you wish to discuss. If an item is known (not discoverable), the discovery of why the item is as it is simply does not make the known item patentable (drawing a distinction by NOT using the word patent eligible). All things that can be discovered are inherent. A new use of an old item is patentable. One cannot re-patent aspirin itself just because a new use is discovered. But one can patent the use of aspirin as a pain reliever because its inherent pain revealing properties are discovered. Then one can patent the use of aspirin as a blood clot mitigator because its inherent blood clot dissolving properties are discovered. The inherency does not nullify the discovery. “Unexpected” in the prior art is not a function of LACK of possession of the “invention” by the inventor/discoverer. Sorry Les – comment was lost and not retrievable. Suffice to say, you continue to try to talk about something that I am not talking about. I am talking about the “unexpected” NOT in some new use but in the thing itself. Try to hew your replies to what I am actually saying and not some other discussion that you may want to have. If you are trying to change the subject, go ahead. But I’m not having that discussion. There is no change from me – I am merely pointing out that you are attempting to talk about something other than what I am talking about. I am talking about the inherency of a thing – and NOT of any newly invented USE of a thing. USE of – and the thing itself – are clearly different. You seem to not understand that, nor understand that I have only been talking about the thing itself. Perhaps that falls under 102/103. Do you really need me to point you to 35 USC 100(b)…? Please provide factual support for your assertion. Did I miss the part where the PTO enacted a rule requiring the submission of code before obtaining a patent that covers a device that requires one to write new code in order for the device to work as claimed? It’s possible that I missed that enacement. If I missed it, please identify the rule and when it was enacted. After all, you’re the expert. And a very very serious person. Totally not a whining little b @by who sees “bias” under his bed every night (so unfair!). Requiring code has nothing to do with anything. How to make is viewed in light of the Person having Ordinary Skill In The Art – without undue experimentation. You should know this – why are you prevaricating? How does the purely “lost profits” related information redacted here relate to any issue other than damages [or possibly one eBay factor for an injunction? ], which could be handled by a separate trial on damages [already fairly common], without requiring a secret trial and appeal on infringement and validity? At times I think we need to reconsider the whole concept of disclosing essentially trade secret information about how to make a product in the published portion of a patent application. Patents and patent applications are read by the entire world, but protection does not extend to the entire world. Thus the harm to the applicant far exceeds the benefits obtained, particularly if the trade secret information actually enables infringement. It is said that at the end of patent term the public must be able to practice the invention. I think the system should be that the information should be revealed publicly only after the patent has expired and upon request of an American in the case U. S. patents, and only after review of the relevant national security agencies. Of course, I would allow accused infringers in court to defend upon lack of enablement – but in a manner that keeps the information secret. What caused me to think this? Whether there was a discussion over on Gene’s site regarding how America first learned about Arkwright’s cotton milling process. Apparently, workers knowledgeable in that process came to America and were soon acquired or were soon in production themselves. Arkwright himself did not want to disclose the details of his machine and process in his patent. 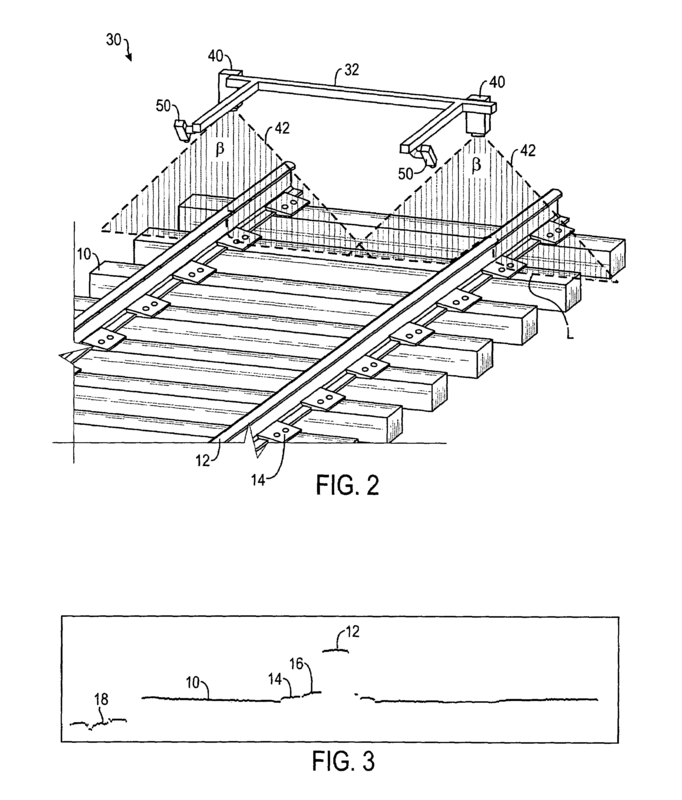 His patent was ultimately declared invalid for failure to provide a sufficient specification. But the reasons he did so were quite understandable. He did not want his competitors to learn his secrets during the time of protection. And he certainly did not want foreign nationals, such as the French, from learning what he was doing because provided such an advantage for England. Today we recognize that some subject matter has national security implications and protect it from disclosure by imposing secrecy orders. Thus we recognize that the disclosures in patent applications can harm the national interest. But the national interest includes not only military applications, but industrial superiority. In a very true sense, the way the patent system is structured undermines American industrial superiority, as it does any advanced industrialized society. So then Examiner’s could only apply 17 year old patent documents against claims in pending applications? Or do you have a solution to that problem? Les, what are you talking about? The invention still must be described, just not how to make it. So if the invention and trade secret are a way to generate cold fusion and pull energy from same, what is the published portion of the application and how does an examiner, 5 years later cite your secret method against similar claims? Obviously, Les, one has to describe a process and that discloses it. I was thinking more along the lines of chemicals and the like. So, you are proposing a special rule for componsitions of matter whereby, for example, an application would disclose the chemical, and a special section to be held secret would disclose how to make the chemical, but the claims would be directed to only the chemical. The secret section would be added to a follow publication at the expiration of the patent. Ok, but again, 3 years after the granting of such a patent, someone else files an application for A method of making the chemical. The method could be the same as, different from or obvious in view of your undisclosed secret method. What happens? Does the Examiner delay prosecution until your patent expires? Does the Examiner even know your secret method exists? While the AIA mucked with it a bit, best mode is still a requirement, eh Ned? anon, but does it have to be published? How do you have a requirement for best mode without it being published? It would be best mode of the chemical. The method of making would not be claimed. And the best mode of making would have to be disclosed, but held secret. Disclosed but held secret is nonsensical. There is NO basis of not publishing something that obtains the right of a granted patent. Certain inventions are deemed not publishable based on national security concerns. Those do not have patent rights (immediately) associated with them, nor is any part of them published, while other parts held secret. Certain applications may be chosen to be non-published during prosecution (a very worthwhile avenue), but there is no “slicing and dicing” of what becomes published when (or if) a state of publication (i.e., grant) is reached. Ned’s musings are simply untethered to anything known in the patent world. anon, tell me why the enabling part of the disclosure has to be published during the period of exclusive rights? Tell me on what basis would you NOT do so? As I just explicated, there is ZERO precedence for this type of arrangement in any of patent law. Moreover, and in addition to the point from Les at 1.1.1.1.1.1, you ALSO have the notion that a (rather substantial) portion of inventive activity (actively promoted) is the type of activity that builds upon the innovations of others (e.g., 35 USC 101: or any new and useful improvement thereof). The enabling part that you want to hide is part of what enables that very type of additional innovative activity. Further – the bargain of Quid Pro Quo is exchanged AT grant. Now mind you (and I do “get” some of the potential reasons), that Quid Pro Quo has been altered with the pre-grant publication that so routinely happens nowadays (even to the point that people forget what the original Quid Pro Quo was about). But what you are doing is moving that full and mutual exchange of Quid Pro Quo to a point in time AFTER the patentee ONLY enjoys their full side of the exchange. That’s no longer a true Quid Pro Quo. So… as much as I dislike the change in the Quid Pro Quo that disfavors the patentee, I am not enamored with a change in the Quid Pro Quo that (in my view,) overly favors the patentee. It is almost as if you want to create some hybrid of Trade Secret and Patent…..
No doubt MM, a trade secret has nothing to do with the kind of confidential information Dennis is talking about here. But the issue of mandatory disclosure of trade secret information in exchange for legal rights is at issue. Imagine if the inventor of PCR had kept it secret? Imagine if the folks at Sequenom had kept the method of isolating paternal DNA from maternal plasma a secret? Recall the claims in Sequenom’s patent only claimed amplification after isolation. The real heart of the advance was the isolation. It would have been invented independently long before the patent expired. Malcolm’s comment actually points out the fact that the protections of trade secret and the protections of patents come from two entirely separate areas of law – and concomitant with that fact comes the fact that the timing of each of the two different protections from two different areas of law should not be mixed. Everyone should be aware that those two timings have been (in error) conflated in the past. But such a past mistake need not remain a mistake forever. The real heart of the advance [in Sequenom’s patent] was the isolation. No, it wasn’t. The patent wasn’t about “isolating” paternal DNA from plasma. It was (allegedly) about detecting paternal DNA in maternal plasma. the national interest includes not only military applications, but industrial superiority. I’m pretty sure there’s nothing about “industrial superiority” or “military superiority” in the Constitution. So where are you getting these deep and super serious ideas from, Ned? I’m guessing from the usual place. MM, I get it from the same place where I think that the purpose of the United States patent system is to promote invention in the United States, not to protect foreign multinationals from competition from U. S. competitors. Promoting invention in the United States includes promoting invention in the United States made by non-US citizens (in the United States). I think your issue is instead those international treaties (of which the US itself had a heavy hand in pushing) that seeks comity of inventions from one sovereign to another. But notwithstanding even that, Ned, patent law remains sovereign law and US patent law only protects US patents. I do not see how your anti-foreign sentiments make the legal logical jump that you are making in an attempt to cloister the US patent system to strictly US nationals. On a separate note, IF you do establish some type of “US national” only, I would then put to you that the juristic persons that are TRANS-national corporations should ALSO be not allowed to partake in the US sovereign patent system. Such trans-nationals have NO true “citizen-type” allegiance to any one country, and are a prime driver in denigrating the hallowed view of the worth of strong patents. The treaties benefit big US businesses. The treaties harm small US businesses and startups. Such treaties may certainly bring MORE benefit to those business that are likely to operate both nationally AND internationally. But regardless of any treaty that merely seeks comity, patent law – in and of itself remains a sovereign-centric law, and IN THAT regard, being sovereign centric does not support your non-US citizen views. It would be fair to say that MANY of those small US businesses and startups are owned and run by non-US citizens. Are you serious? “Promoting the useful arts” as the Constitution requires by delaying their public use, by withholding even an essential disclosure of how to be able to make and use them, for 20 years? Also, since the majority of patent suits these days are on software-related patents, how many of them are required to have detailed “how to make” spec disclosures now, or need any disclosures of any manufacturing trade secrets to make and use the patented inventions? Paul, the public use of something does not necessarily disclose how to make it. That was the point behind Pennock v. Dialogue. Also very interesting is Roebuck and Garrett v. Williams Sterling, 1 WPC 45 (House of Lords 1774). There the patent owner had practiced manufacturing acid from sulfur and saltpetre using leaden vessels rather than glass for 20 years prior to filing his application. The process reduced the cost of production by 30%. Only when others begin to learn of his process, did he file an application. Among the defenses, of course, was that having practiced the invention exclusively for longer than the law allows that he had forfeited his right to a patent. The House of Lords ended up finding that the use of lead to manufacture the acid was known in England prior to the date of the application. As the progress in the useful arts, the question is whether the purpose is the public disclosure or whether the purpose is the bringing of new products and processes to the public in the first place. That is the fundamental question I think we have to actually debate. Clearly allowing public to know how to make one’s invention if they did not know so before allows infringement. Why in the world should we allow the public to know how to make the invention until after the patent expires? Ned – the AIA changed this in the US – new to you is the new new. How about applicants just hire attorneys sufficiently skilled to provide the minimum necessary to describe and enable? That would be a lot easier than rewriting 112. There is already too much overlap between trade secrets and patents. Every application to the front end of a undisclosed processing system is a mockery of the Patent and Copyright clause.